Social media marketing is an immensely effective way to grow your audience and increase conversions. However, it can also take up a lot of time and effort. Given this, it’s worth looking for resources that can help you automate this type of marketing – such as an IFTTT tutorial. IFTTT (If This, Then That) is a service letting you create customized apps for automating particular tasks. Many of these tasks are relevant to social media marketing, such as publishing your blog posts to social sites. 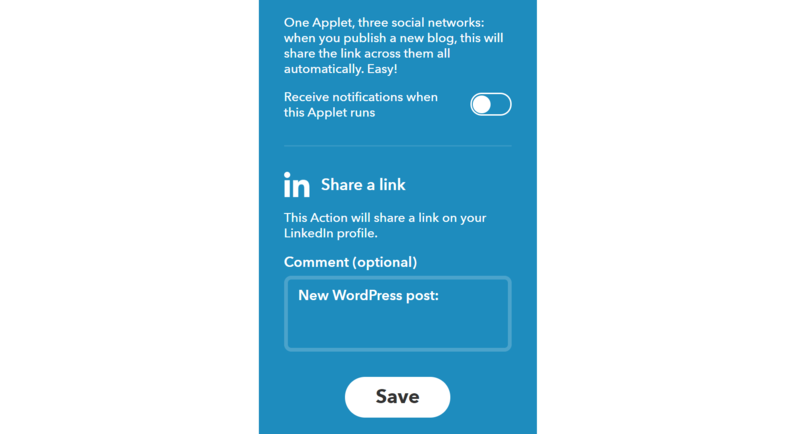 IFTTT helps you save a lot of time by connecting your WordPress site to your social media accounts, and setting them up to share information automatically. 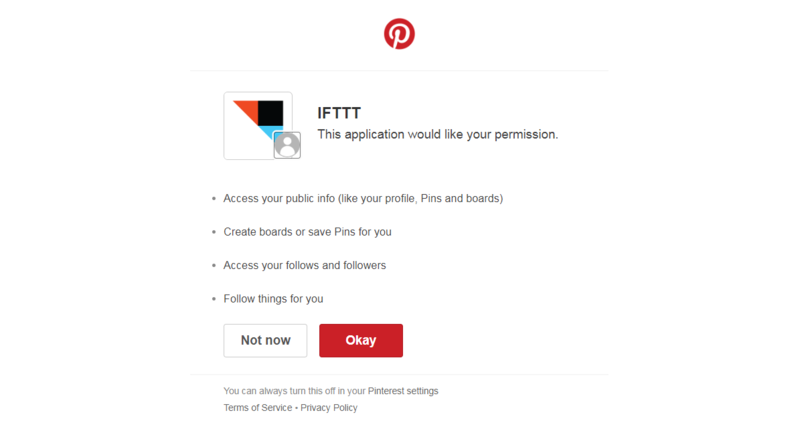 In this article, we’ll introduce you to IFTTT. We’ll discuss what it is and how it works, and talk about why it’s so useful. 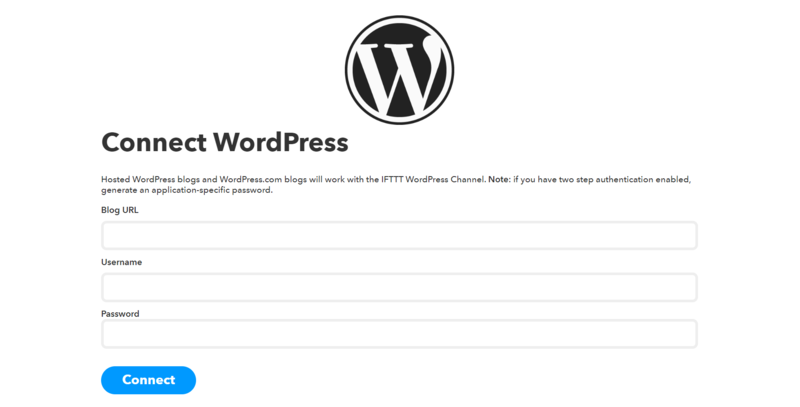 Then we’ll walk you through an IFTTT tutorial for how to set up some WordPress-specific IFTTT protocols. Let’s get started! Automation is a perennial hot topic – and for good reason. Any technique that saves you time and streamlines your marketing funnel is worth looking into. There are a lot of tasks involved in social media marketing that are simple, yet need to be repeated. Marketing automation makes those tasks hands-off, so you can focus on other aspects of your business. Of course, there are other benefits of social media automation. It helps you stay active on social platforms, increasing your marketing’s effectiveness. Many social sites require constant posting if you want to build an audience and stay relevant. For example, it’s recommended to post 3 to 5 times per day on Twitter, and at least daily on Facebook. This level of engagement can be difficult to sustain manually but becomes almost trivial when automating parts of the process. Fortunately, there are many tools for setting up this kind of automation. As a WordPress user, you can find lots of plugins to help you out – such as Revive Old Post. Still, if you want to maximize your automation potential, you may also want to look outside WordPress itself for additional solutions. This brings us to IFTTT. This service is all about integrating multiple tools and platforms, in order to get them working smoothly together. In addition, it offers a lot of ways to automate key marketing tasks. More specifically, IFTTT helps you create small customized apps (or ‘applets’). Each applet connects two or more platforms – for example, WordPress and Twitter. It enables those platforms to communicate with one another, and lets you set up rules for how information should travel between them. For example, let’s say you want to send out a tweet every time you publish a new blog post on your WordPress site. With IFTTT, you can set this up to happen automatically. What’s more, you can tweak the applet so it works exactly how you’d like it to – such as by customizing which posts are tweeted about, and what the resulting social media posts look like. IFTTT offers a lot of scope and integrates with a wide range of platforms. What’s more, its collection is always growing, since users can create their own new appletss and get them approved. Best of all, IFTTT is completely free to use, and it’s simple to get started with if you follow a basic IFTTT tutorial. The best way to understand how a service like IFTTT works – and decide whether it’s worth your time – is to see it in action. With that in mind, we’re going to show you three examples of IFTTT uses, and walk through a simple IFTTT tutorial for each. As we’ve discussed, IFTTT integrates with a lot of different platforms. However, we’ll be focusing our IFTTT tutorial on WordPress-specific uses here. What’s more, we’re going to stick with the applets that have been added by WordPress itself, although there are also plenty of user-created applets to check out too. Finally, it’s also worth noting there are plenty of IFTTT protocols to help you with tasks unconnected to social media marketing. For instance, there’s one that will create a post draft in your dashboard automatically whenever you add a new card to your Trello board. We encourage you to check out all the tools IFTTT has to offer, so you can pick and choose the ones best suiting your unique needs. First, however, let’s jump right into our first IFTTT tutorial! A cornerstone of any successful social media strategy is sharing content on your target platforms regularly. While you can (and should) create unique content for social sites, you’ll also want to share your new WordPress posts. This gives your content a wider reach, ensures your audience is aware of each post and cuts down on the amount of platform-specific content you need to generate. There are a number of IFTTT services that let you automatically publish posts to various social media platforms. However, let’s focus on one that handles three sites at once – Automatically share new posts to Twitter, Facebook, and LinkedIn. By setting up this single IFTTT program, you can automate posting across all three platforms. Once you’ve decided what IFTTT program you want to set up, getting it working requires two basic steps. We’ll walk you through both in the following short IFTTT tutorial. It’s worth noting that once you’ve connected a platform to IFTTT, you won’t have to repeat the login process for future programs. Instead, you’ll just have to authorize each new connection. Plus, you can also skip the need to enter your credentials if you happen to be currently logged into an account on the device you’re using to access IFTTT. Once you’ve integrated all the necessary platforms, you can configure a few things about how the automatic posting will work. What options you get will depend both on the specific program you’ve chosen, and the service(s) in question. Select Save, and the IFTTT applet will be ready to go. It will be automatically activated, and will periodically check your WordPress site for newly-published posts. When it finds one, it will share the link across all three platforms. You won’t need to do anything else to keep it running, although you can always edit or turn off the program in your IFTTT dashboard if the need arises. Now, let’s check out an IFTTT program that’s a little more targeted and customizable. After all, you won’t always want to share every single new post on a given social media platform. Fortunately, there are IFTTT programs that let you choose exactly what posts are shared. Automatically pin new posts in a specific category to a Pinterest board is the perfect example of this kind of IFTTT program. Instead of posting all your new WordPress content to Pinterest, it looks for specific categories or tags. This way, you have complete control over what is shared on Pinterest and what isn’t. Then you can decide if you want to turn on notifications for this applet, before clicking Save. From now on, this IFTTT program will share all new posts with the given category or tag to the Pinterest board you indicated. So far, we’ve been looking at applets that let you publish your WordPress content to various social media platforms. However, you can also do the reverse. There are a number of applets for importing your social media posts and turning them into WordPress content. For an example, you can check out the IFTTT program Automatically turn specific Instagrams into photo posts. As with most applets, this one does exactly what it says on the tin. You can choose a specific hashtag, and all Instagram posts with the specified hashtag will be added to your WordPress blog as photo posts. That’s it! 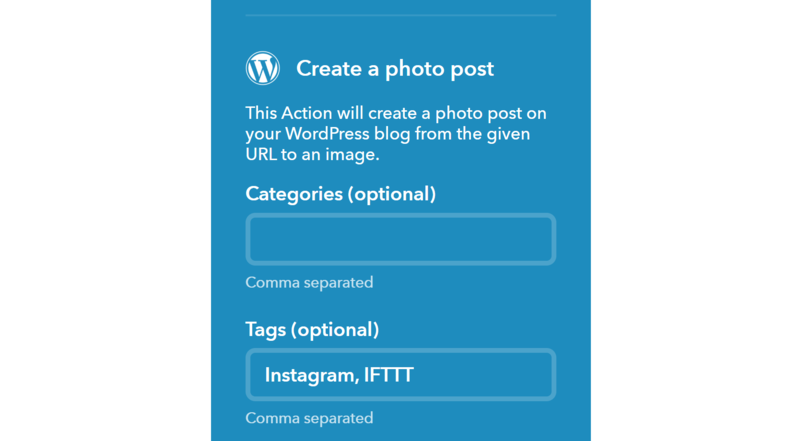 Once the IFTTT protocol has been saved, IFTTT will start creating new blog posts by importing the photos and captions for any new Instagram posts you publish with the specified hashtag. IFTTT can be a hugely valuable addition to your marketing efforts. By setting up applets for the rote tasks you normally have to do yourself, you can save a lot of time. Plus, the service is free – so there’s no risk in trying it out. With a simple IFTTT tutorial or two in hand, you can accomplish a lot. Publish new WordPress posts to social media platforms. Share specific post types to Pinterest. Turn Instagrams into WordPress blog posts. Have you ever used IFTTT to automate your social media marketing, and what did you think? Share your impressions with us in the comments section below! The post How to Automate Your Social Media Marketing (With a Handy IFTTT Tutorial) appeared first on Revive Social.